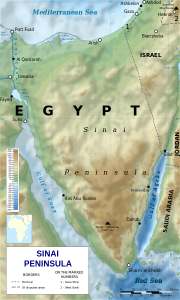 Seven Copts on peninsula slain in one month. 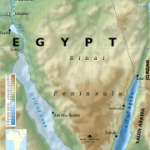 ISTANBUL, Turkey (Morning Star News) – Hundreds of Christians continue to flood out of the Egyptian town of Al-Arish in northern Sinai after the third Copt in a week was gunned down on Thursday (Feb. 23), reportedly by Islamic State-linked militants. The mass exodus comes after three Coptic Christians were killed in what appears to be the work of militants making good on Islamic State (IS) threats issued on a Feb. 19 video promising to rid the country of “idolaters.” The latest slaying was the seventh killing of a Copt in the Sinai in a month. Reports differ on how Kamel Youssef was killed, but according to the Associated Press, militants stormed his Al-Arish home, then shot and killed him in front of his family. Two days earlier, the body of Saied Hakim, 65, was found Feb. 21 late at night in Al-Arish behind a state-run language school, where he was ambushed by masked gunmen. Hakim was shot in the head several times. Medhat Saied, 45, Hakim’s son, was abducted and burned alive, his body found in the same place as his father’s, according to local media reports. No one has claimed responsibility for the three killings, but the consensus is that “Wilayat Sinai,” the Sinai Province branch of the Islamic State previously known as Ansar Bait al-Maqdis, killed the men in a quest to terrorize Christians and push them out of the region. A total of six Copts have been killed in Al-Arish, a city of roughly 165,000 people, in less than a month. On Jan. 30, Wa’el Youssef, 35, was shot down at his small grocery store in downtown Al-Arish. The assailants reportedly shot Youssef in broad daylight in front of his wife and one of their two sons. On Feb. 12, masked militants ambushed another Copt, Bahgat Zakher, 40, as he was driving his car through the southern outskirts of Al-Arish. A group of armed jihadis stopped Zakher then shot him in the head, neck and stomach, killing him instantly, according to local media reports. The third Copt to meet his death at the hands of suspected jihadists in Al-Arish was Adel Shawqy, 57, a day laborer, who was shot in the head on Feb. 13. The current exodus isn’t the only time Copts have been forced to flee Al-Arish in recent history. In July 2013, Coptic villagers fled Rafah, Sheikh Zuwayed and Al-Arish after a priest, Mina Aboud Sharubim, was gunned down, and a Christian businessman, Magdy Lamei, was abducted and killed. His decapitated body was dumped onto a street.